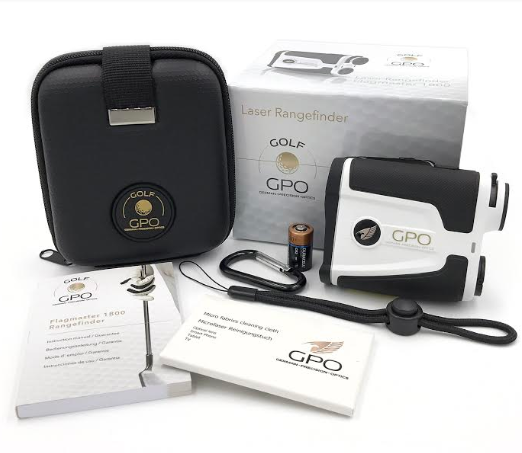 RICHMOND, Va. — GPO USA proudly introduces its entrance into the laser rangefinder market with the new FLAGMASTER™ 1800 Golf Laser Rangefinder. 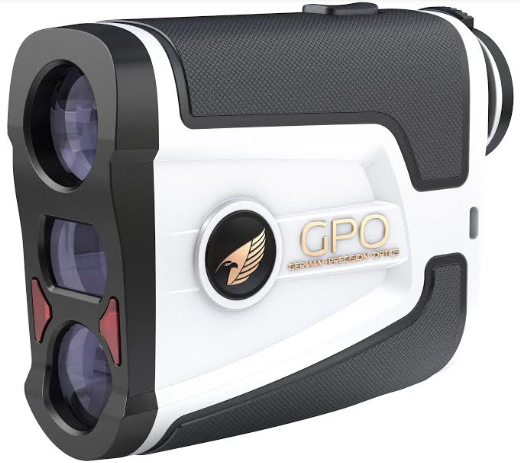 This new six-power rangefinder allows the golfer to capture the targeted distance out to 1,800 yards, and it offers an array of high-tech features that give golfers confidence to hit the most challenging shot. The new FLAGMASTER™ 1800 features advanced optics and the latest rangefinding technology. In addition to its proprietary GPObright™ high-transmission lens coatings, this rangefinder is equipped with a fast-focus ocular that helps you quickly zero in on the object you want to range. Find the flag in the viewfinder, and press the range button. When the flag distance is confirmed, the rangefinder will vibrate (short vibrating bursts for sensory notification), a circle will appear around the flag icon visible in the display and the distance will be displayed. The GPO FLAGMASTER™ 1800 is equipped with two different flag-finding technologies to assure a flaglock distance can be acquired. This unique system will first look for the reflective prism located at the top of the golf course flag pin. If that is not available, the FLAGMASTER™ 1800 will convert to a close-target distance function. This dual system assures a flaglock distance every time. LOS (line-of-sight) and SLOPE modes are also integrated into the FLAGMASTER™ 1800. The LOS mode will measure the exact distance to your target. The SLOPE mode provides both the angle of the target and the adjusted distance to the target. SLOPE mode is designed to help you adjust your swing for angle compensation. The slope function of this new rangefinder also features red flashing LED lights when this mode is turned on, notifying course judges that the device is in a nonregulation mode. The FLAGMASTER™ 1800 comes equipped with a hard-molded case, carrying strap with a carabiner clip, microfiber cleaning cloth, loop wrist strap, DuracellTM CR2 battery and multi-language instruction book. It comes with a two-year warranty. Suggested retail price is $389.99. For more information, visit www.gpo-usa.com. German Precision Optics was founded on the premise that design, engineering and quality management is 100 percent controlled in Germany to its strictest standards, yet products can be produced at some of the largest production facilities worldwide. This unique corporate structure allows GPO to offer the highest quality products with better features at a significantly better price. The company is 100 percent confident that all its products will not only function perfectly but also exceed all expectations. Therefore, GPO USA has created an industry-leading Spectacular Lifetime Warranty™. With outstanding professional service, GPO USA will take care of its products before, during and after the purchase at no charge—EVER. Founded in 2016, GPO has its U.S. headquarters in Richmond, Virginia. 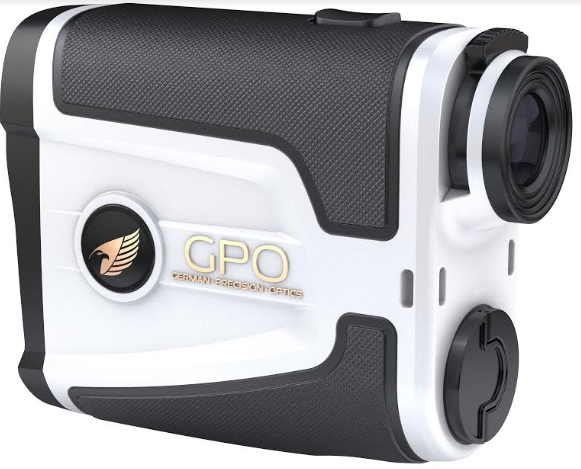 For more information on GPO US, visit www.gpo-usa.com or call 844-MY-BINOS (844-692-4667). 3.7 x 1.3 x 3 ins. 396 ft. at 1,000 yds. website at http://hunteroc.com/2018/GPO_PR5.html or upon request by contacting Kimi Herndon atKimi@hunteroc.com.